In business since 2000, Coverall Roofing is not only an expert roofing contractor, but we're also an integral part of the community. Our technicians are fully trained to solve whatever roofing problem comes their way. 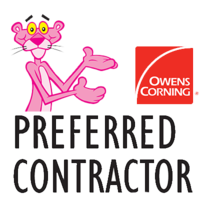 When you hire us, you will have the peace of mind of knowing that the work will be performed by installers certified in the Owens Corning PRIDE system (Professional Roofing Installation that Delivers Excellence). 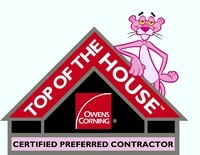 Anthony Lupo opened Coverall Roofing back in 2000. As someone who grew up telling it like it is, he wanted to create a business that didn't play games or trick people to earn their business. His straightforward approach was built around family values that he will not compromise. You should expect to be impressed with any company you give your hard earned money to. Anthony has raised the bar and can deliver a top-of-the-line service second to none. No tricks, games, surprises, hidden cost, or shortcuts. Just quality, honestly, and integrity. 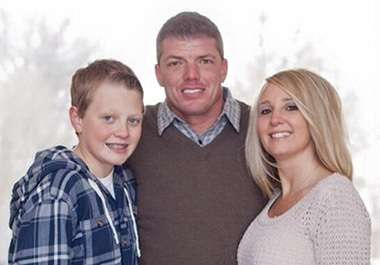 Here at Coverall Roofing, we live by three values: quality, honesty, and integrity. These are your family's values and they're our family's values too. If you're anything like us, they're also the values you expect from any company you give your hard-earned money. "Great job! Thanks again Tony!" "From the time Tony came out all the way until the end of the..."
"The crew kept the yard clean"
"It was nice having a job supervisor on job. Adam was very helpful"
"Very efficient and professional. Great crew covered items on deck moved..."
"I choose Coverall Construction for many reasons. One reason being, Anthony..."
I choose Coverall Construction for many reasons. One reason being, Anthony was very easy to talk to regarding questions. Also, was very easy to schedule service date for roofing. This process was easier than I thought and a job very well done. "Coverall Roofing was highly recommended to us by friends who had their..."
Coverall Roofing was highly recommended to us by friends who had their roofs replaced by Coverall and we would highly recommend them as well. "Work completed on time and in good workmanlike manner"
To always provide you with the highest Quality construction and roofing services. To always be Honest in our assessment of every job and do only the construction you need. To always act with Integrity by: Showing up on time, doing the work we said we'd do when we said we'd do it, and keeping you informed when things change. He went above and beyond our expectations of the project!